Nokia has a contingency plan in place should the Windows Phone operating system fail to take off, according to the company's new chairman. The fate of Microsoft's rapidly-improving OS and the Finnish hardware manufacturer are intrinsically linked to each other as both companies look to gain a foothold in a market dominated by Apple and Google. Nokia has thrown most of its eggs into the Windows Phone basket, while Microsoft has made it perfectly clear that Nokia is its preferred partner to push flagship devices. Should all that fall apart though, recently-appointed Nokia chair Risto Siilasmaa told the YLS Uutiset website that plans are afoot to ensure the company's survival. He was still quick to assure that faith in the success of Windows Phone is still very strong, but it seems Nokia could be preparing for the worst. So what could be Nokia's Plan B? It's not a return to Symbian, that's for sure. Siilasmaa admitted that the previously dominant software now has a market share of "close to zero." 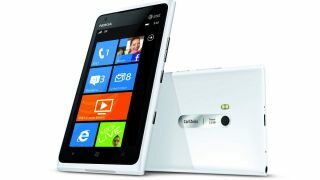 Would a Windows Phone failure finally see Nokia leap into the caring arms of Google's Android operating system? Many would argue that had Nokia chosen that path three years ago, then it wouldn't be in a position to worry about its future in the first place. The company is currently facing up to the prospect that its flagship, and mightily impressive, Lumia 900 device may soon be obsolete due to the lack of an upgrade path to Windows Phone 8.